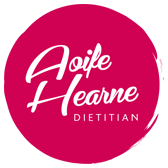 In addition to a Masters degree in Sports Nutrition, Aoife’s personal experience in athletics gives her a unique understanding of athletes, the pressures of training at a high level and an appreciation of the importance of an appropriate diet in assisting peak performance.. Appointments for individual athletes can be made by contacting Nutrition Solutions. The initial consultation usually takes up to one hour and a half. This consultation will focus mainly on peak performance, and how to eat the correct foods at the correct time so as to nourish your body and help you perform at your best. From the time when the ancient Greeks and Romans started the Olympic Games, athletes had their own special regimen for great performance which included diet and nutrition. Nutritional advice for sportsmen and women is now a lot more technical, but the basic message still persists – those athletes who pay attention to what the eat will have ‘the edge’ over those who do not. The goal of the sports nutrition programme at Nutrition Solutions is to empower athletes to make better choices and fuel peak performance. Players who improve their diet to suit their sporting needs have been shown to benefit from optimised performance in training and competition. Through accurate, evidence based advice you will be provided with the information you need to help you get the most from your diet. This in turn will allow you to train harder for longer, stay well, stay more focused and help in the prevention of overtraining and overuse injuries.